SKU: xm01. Category: Keyboard Encoders and Interface Hardware. This is a straight forward, compact encoder that will fit in the smallest of spaces. 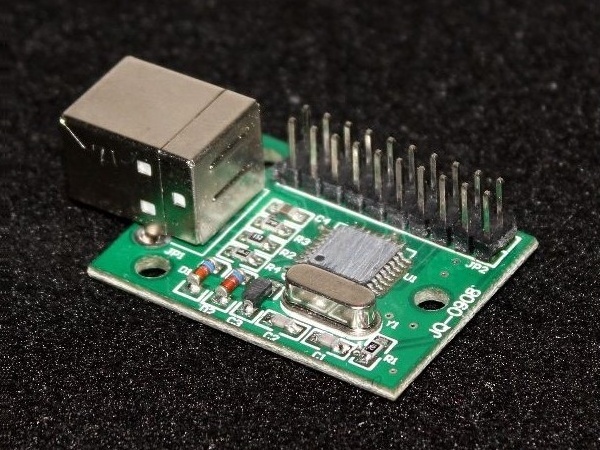 Instead of screw terminals it uses 2 rows of header pins and it comes with its own wiring loom which is split up into groups of 4 wire (or less) per “plug” that simply slide onto the header pins. 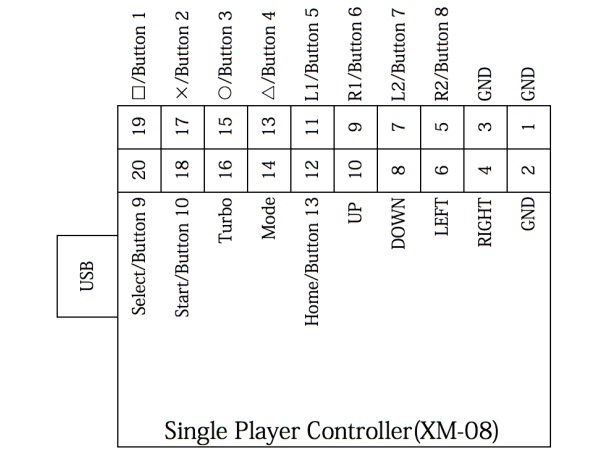 You then attach the spade connectors onto the microswitches of your joystick and buttons and away you go. It has inputs for 1 Joystick and up to 12 Buttons and is recognised by Windows as a USB Gamepad device. It is compatible with most versions of Windows, as well as Linux, Mac and PS3. 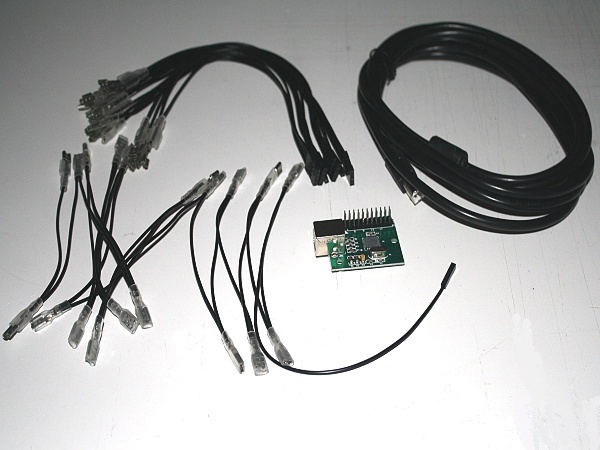 If you’re after a no nonsense interface for a DIY fighter stick or similar then one of these Xin-Mo Encoders would be perfect!